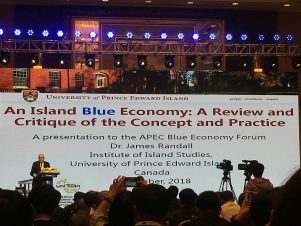 UNESCO Co-chair in Island Studies and Sustainability Dr. Jim Randall was invited to present a keynote address at the Asia-Pacific Economic Cooperation Blue Economy Forum, November 13-14, 2018, in Ningbo, China. 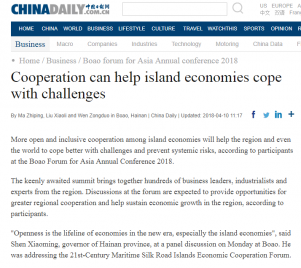 The theme of this 5th APEC Forum focused on “Local Blue Economy Practice: Policy and Approach,” which has gained prominence in recent years as a popular development strategy among island and coastal communities through its vision to achieve marine sustainable development and human well-being. 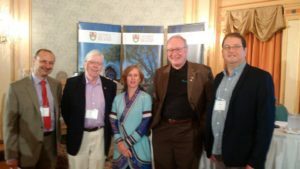 Charlottetown, PEI (September 10, 2018) — UPEI’s Institute of Island Studies and the UNESCO Chair in Island Studies and Sustainability hosted a weekend of meetings with representatives and researchers from a dozen islands around the world. This unprecedented gathering of scholars in the field of Island Studies is made possible by a Partnership Development Grant from the Social Sciences and Humanities Research Council of Canada (SSHRC). 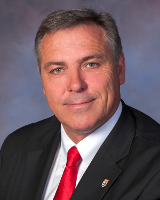 The project will build relationships between researchers and will fund up to twelve graduate students. Island jurisdictions are often viewed as vulnerable, poverty-stricken, and destitute, but research shows many of these islands are better described as innovative and entrepreneurial. 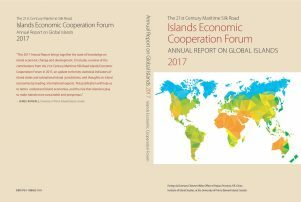 This meeting brought together six representatives of small island states (Iceland, New Zealand, Mauritius, Palau, Cyprus, St. Lucia and Grenada) and six representatives from non-sovereign, sub-national island jurisdictions (Prince Edward Island, Newfoundland, La Réunion, Lesbos, Guam and Tobago). These groups will compare experiences, to see whether statehood is a boon or hindrance when implementing sustainable practices in social-political, cultural-artistic, economic, and environmental areas. Drs. 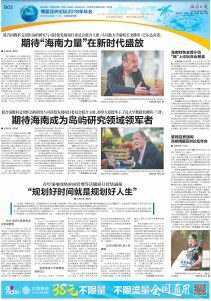 Jim Randall and Godfrey Baldacchino attend Boao Forum for Asia Annual Conference on Hainan Island, China, April 8-11, 2018. UPEI’s UNESCO Chair in Island Studies and Sustainability and the UPEI Climate Research Lab will co-host a public forum on climate change adaptations and islands. The forum begins at 7 pm on Thursday, September 22 in the Florence Simmons Performance Hall on the Prince of Wales Campus of Holland College. Information gathered at the forum will be become part of a statement delivered at the 22nd session of the Conference of the Parties (COP 22) to the United Nations Framework Convention on Climate Change this November in Morocco and will inform public policy in local, national, and international jurisdictions. 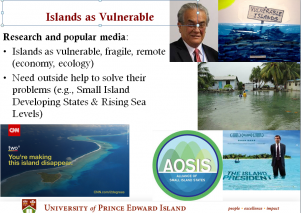 Dr. Godfrey Baldacchino, co-holder of the UNESCO Chair in Island Studies and Sustainability, will prime the forum by presenting a summary of a two-day international symposium on small island resilience to climate change. “Building Small Island Resilience to Global Climate Change: An International Symposium” brings together 15 people from around the world to discuss how residents of small islands and coastal jurisdictions can build on their strengths and resourcefulness to respond to the consequences of climate change. The focus is on four areas: food security, renewable energy, innovation, and cultural heritage. Also hosted by the UNESCO Chair in Island Studies and Sustainability and the UPEI Climate Research Lab, the symposium is funded in part by the Atlantic Canada Opportunity Agency (ACOA) and the province of Prince Edward Island. Symposium speakers include climate and island studies experts who who will bring their unique knowledge and skills to the table. They come from Australia, Vanuatu, Denmark, Faroe Islands, Gotland, Montreal, Toronto, St. John’s, Tignish, Lennox Island, and Charlottetown. Together with an invited group of engaged audience participants, the symposium addresses the pressing issue of climate change and small islands in an action-oriented and policy-focused series of dialogues that will provide public policy lessons for other jurisdictions. Admission is free and everyone is welcome to attend. For more information, contact iis@upei.ca or 902-894-2881. Charlottetown, PEI (July 22, 2016)—Dr. 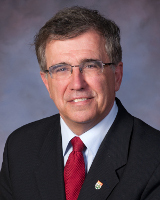 Robert Gilmour, Vice-President Academic and Research at the University of Prince Edward Island, today announced a new UNESCO Chair in Island Studies and Sustainability. 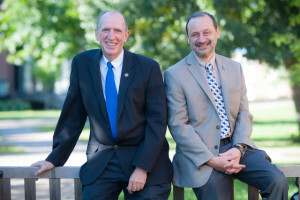 The chair will be co-held by Dr. James Randall, a geographer and coordinator of UPEI’s Master of Arts in Island Studies (MAIS) program, and Dr. Godfrey Baldacchino, a professor of sociology at the University of Malta and an Island Studies teaching fellow at the University of Prince Edward Island. This chair is created through the UNITWIN/UNESCO Chairs Programme, which has promoted international inter-university cooperation and networking since 1992 to enhance institutional capacities through knowledge sharing and collaborative work. The programme supports the establishment of UNESCO Chairs and UNITWIN Networks in key priority areas related to UNESCO’s fields of competence–i.e. in education, the natural and social sciences, culture, and communication. CHARLOTTETOWN, PEI — Workforce and Advanced Learning Minister Richard Brown extended congratulations to the University of Prince Edward Island who recently announced the new UNESCO Chair in Island Studies and Sustainability. 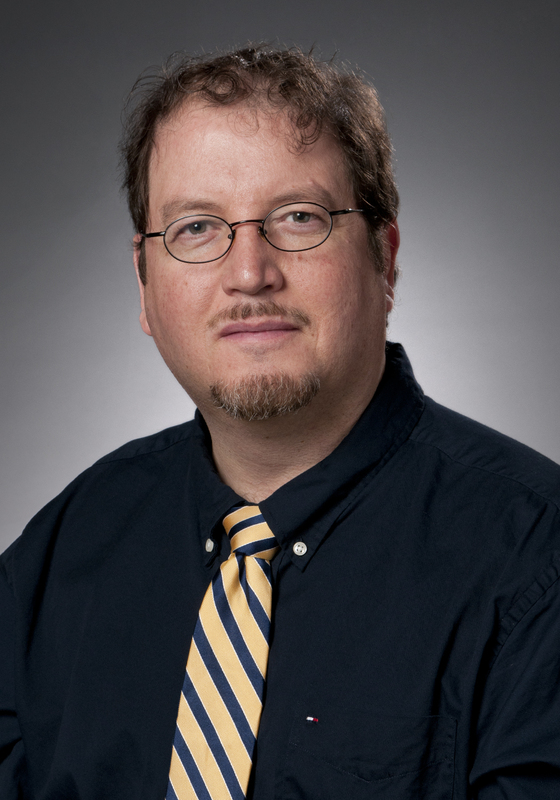 The position will be co-held by Dr. James Randall, UPEI; and Dr. Godfrey Baldacchino, University of Malta. With 700 Chairs around the world, this UNESCO Chair is the first in Atlantic Canada, and the only one east of Quebec. Dr. Randall and Dr. Baldacchino will work as co-chairs to bring together academics, policy-makers, community organizations, and practitioners to look at best practices from small island development and other sub-national jurisdictions, like PEI, from around the world. 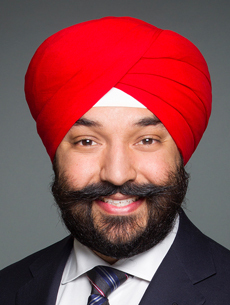 Their research areas will include: sustainable development; climate change adaptation; governance; culture; outmigration; and educating our youth and our workforce. 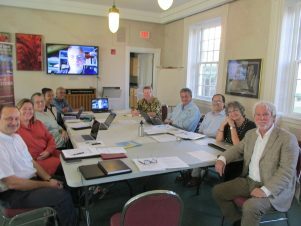 The Island Studies and Sustainability Chair, led by the University of Prince Edward Island and the University of Malta, and supported by various other universities and organizations, works to establish and expand academic and research programs on Small Island Developing States (SIDS) and Sub-National Island Jurisdictions (SNIJs).